If your family is in transition due to the breakdown of a marriage or common law relationship, Monica can help you through this difficult time. Child custody and access, child support, spousal support, and division of property and money, including pensions, are some of the issues that you will likely have to deal with. If you are starting a new relationship, whether marriage or common law, you may wish to opt out of the laws governing property rights and spousal support, and to craft your own solution in the event of a future relationship breakdown. 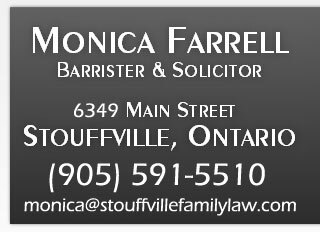 Whatever your family law needs, Monica believes in providing each client with a customized resolution of the issues that are unique to his or her needs and objectives, and she takes a practical, solutions-based approach to all family law matters. 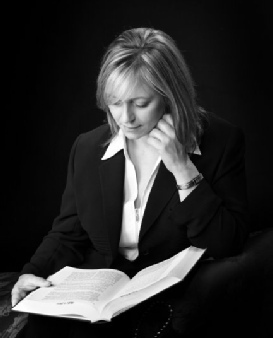 By explaining your options and outlining the issues that need to be resolved, Monica provides her clients with the tools and information that they need to choose the path towards resolution that is best for them … from mediation and negotiation, to court if necessary. Monica earned her law degree from the University of San Francisco; she was admitted to the State Bar of California in 1995; and she was called to the bar in Ontario in 2006. Monica is a highly effective negotiator and courtroom advocate, and she brings to each case a unique combination of legal knowledge, experience, compassion, guidance and assertiveness.